Advocate Louis Pohl SC holds an LLB from the University of the Free State. he worked at a prosecutor and state advocate from 1988-1992, before joining the Bar. He served as a director at Honey Attorneys from 2006-2008. His areas of specialisation include administrative law, contract law and personal injury law. 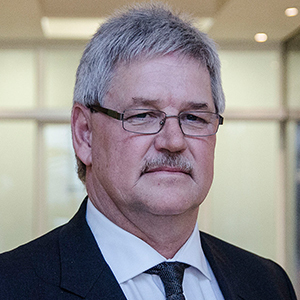 Pohl has acted in the Free State High Court in 2013, 2014 and 2017. He had unsuccessfully interviewed for a position on the Free State Bench in October 2016. During Advocate Louis Pohl SC’s interview it emerged that he had only taken on one black pupil in all the time he has worked at the Bar. He attributed this to a practise at the Free State Bar where juniors were allocated by the Bar Council “without me having any input” in the process. Advocate Thabani Masuku, one of four appointments to the Judicial Service Commission by President Jacob Zuma, said he was “concerned that you would share all this experience with one black pupil”. Pohl later said financial constraints had limited the number of juniors he had enlisted in the two-and-half years he had practised as a senior. Masuku asked Pohl if he had done anything else to further transformation at the Bar. The candidate said he had “invited junior advocates to come to me to show me their pleadings”. Commioner CP Fourie, representing the attorneys profession noted that the General Council of the Bar had held Pohl in “high regard”, commending him for his integrity and work ethic. The only drawback was that he had only acted for two terms and they suggested he required more acting experience. During a round of interviews where proficiency in indigenous languages and one’s commitment to the transformation of the legal fraternity emerged front and centre, Advocate Louis le Roux Pohl SC did himself no favours by not being being able to speak the former before admitting that he had, in over twenty years at the Bar had only one black junior who had served pupillage with him. Responding to a question about his understanding of the principle of legality, Pohl said this required that any deed, action or policy “must accord with the law”. He described the Constitution as a “lens to examine all law” when asked about the marginalisation of indigenous law in South Africa and suggested that one “shouldn’t jettison other laws” since all could be developed in accordance with the Constitution.